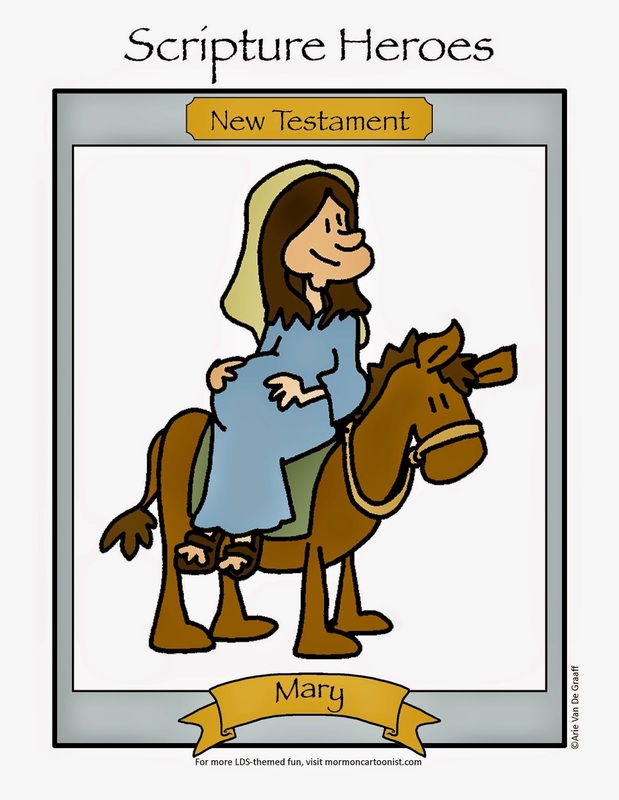 I admire the people (usually women) who serve in the nursery. I suspect when everything is tallied up at judgment time, their service in the nursery will count more than, say, an Elders Quorum President's service. This one should be published in the Friend. It'll serve as a valuable lesson for the little kids. Let's them know what's going on in the minds of their nursery and primary teachers. 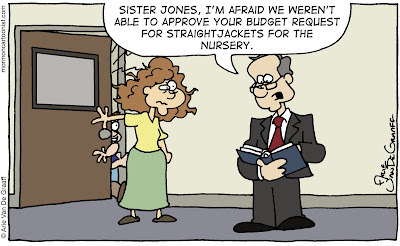 Since I have served numerous callings in the nursery (mostly because I'm there anyway because none of my kids has ever gone), I can totally relate to this comic. I think it's especially cruel to give this calling to women who already have 2 nursery aged kids at home. I agree Jena. I had to MOVE to get released from 2 1/2 years of "bliss" in the nursery!